Photo by Sgt. 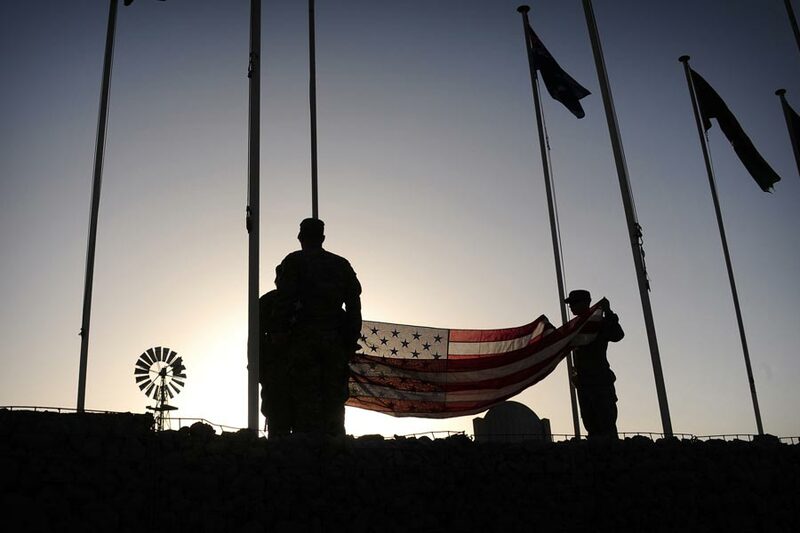 Jessi Ann McCormick – Soldiers from 79th Infantry Brigade Combat Team, California Army National Guard, prepare to raise the American flag at Multinational Base Tarin Kot, Afghanistan, Aug. 5, 2013. The flags are replaced periodically due to wear from harsh weather conditions in Afghanistan.